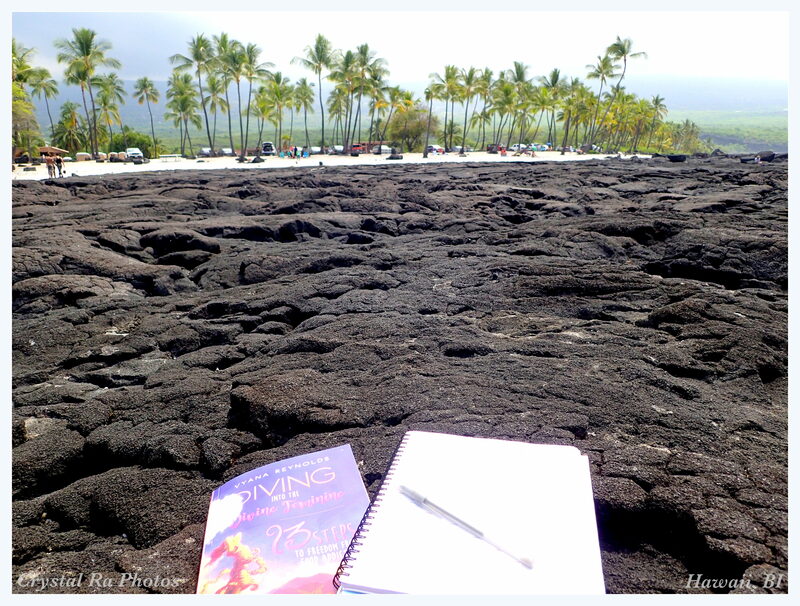 Read about my last month’s inspiration about my writing and how I reset my journaling button. The magic is hidden also into the mermaid secrets. I feel I live fully when I paddle in the Hawaiian outrigger canoe through the morning swells while enjoying the sun peaking from the Hualalai Volcano, when I snorkel and freedive in the Pacific Ocean, when I bicycle and can smell the plumeria while driving by; I feel I love when I hug my husband, when I prepare our evening salad or when I wake up next to him. I matter with my thoughts, ideas, courses, classes and coaching as my clients will have a better quality of life because they finally start to listen to their intuition and their heart and connecting to the New Time energies. 13 Steps to Freedom from Food Addiction book display. 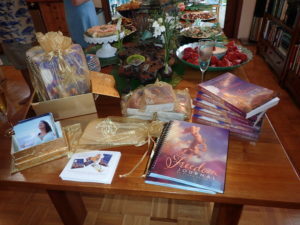 In addition to the book she also published a set of inspirational cards and a journal where you can write your thoughts from the book. It took her only 13 weeks to write that book and she created a wonderful and easy system. She got up every day at 5 am and sat down and wrote and delivered a new chapter to the group of women who were her focus group weekly. She chose the simple route – to publish herself and 13 Steps Press was born. 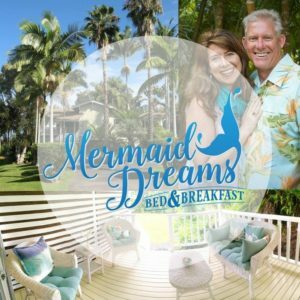 Vyana Reynolds leads transformational retreats at her magical mermaid mansion in Hawaii to empower women to rediscover themselves and their love for the ocean. Vyana lives here in Hawaii with her husband Bud in a beautiful home in South Kona. I met her just some months ago and felt instant connection. It is so weird that we have many similar interests like anthropology or water therapy or working with women. 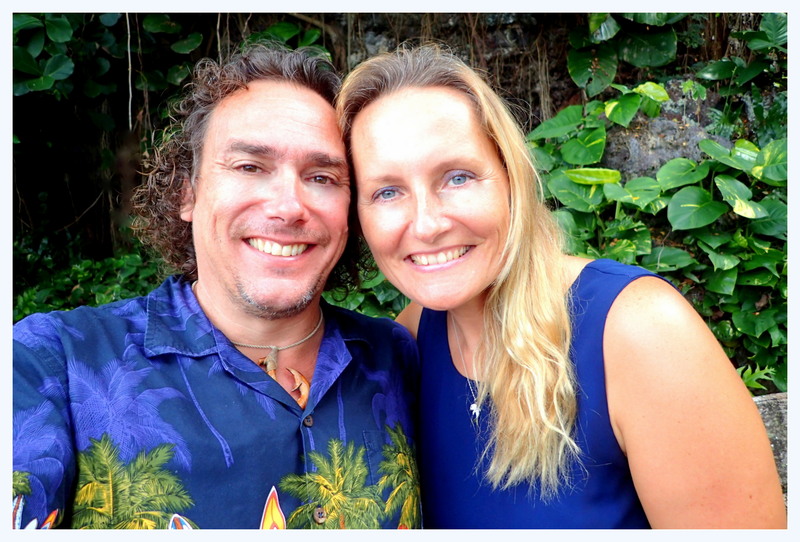 She is a true mermaid and has actually started a Kona Mermaid school. The very fact that there are so many mermaid schools popping up all around the world is showing that the divine feminine actually is truly awakening. I would call it water consciousness is finally ending its silence and is talking. 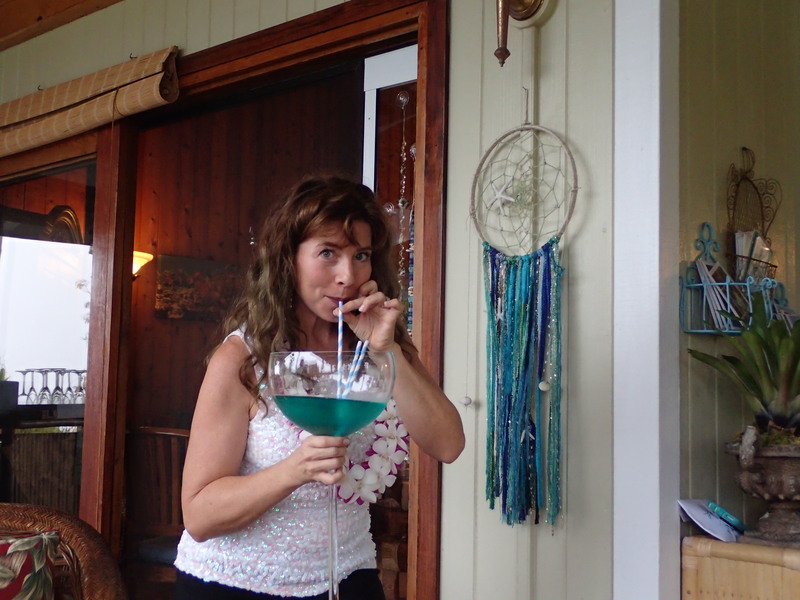 Mermaid with a blue champagne! During her book launch party we were offered blue champagne (made of blueberries) and small salty goldfish crackers to eat and the whole healthy table with pupus (snacks in Hawaiian) were laid out so beautifully. 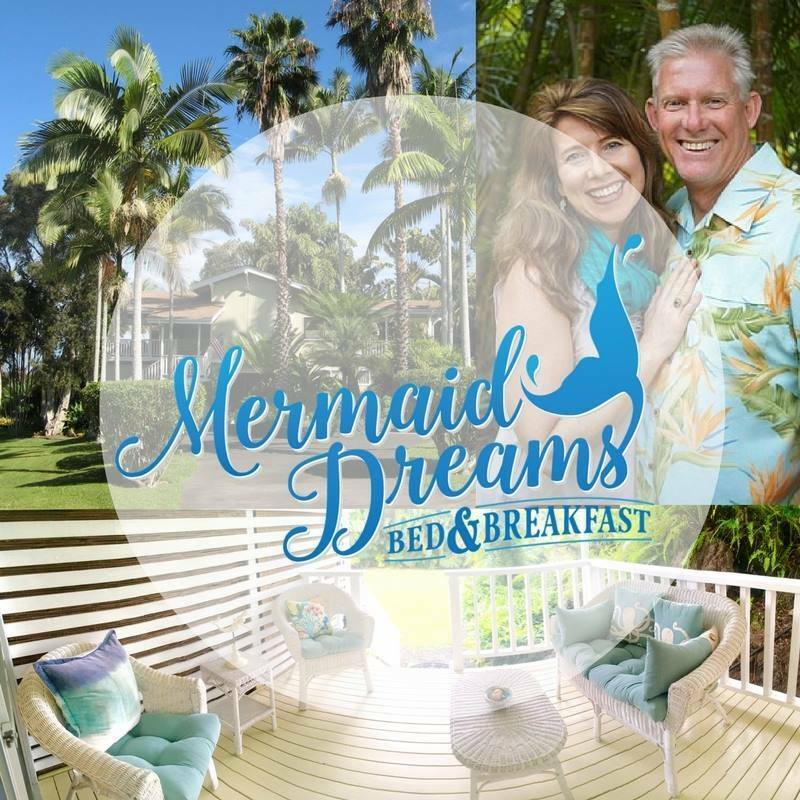 Vyana is managing Mermaid Dreams Bed and Breakfast with her husband Bud. The whole house is a true Mermaid Dream. It is quiet and tucked away in the South Kona area on the Big Island and it has many mermaid details wherever you look and go. What was really interesting was that most of what Vyana talks about in her book connects with me and I am pretty sure with so many other women on this planet because we all try to fill our inner void in different ways. Vyana and Bud with their beautiful Mermaid home and business. Photo by Vyana Reynolds. For many of us it is created by the lack of love or attention when we were small. We try to fill it with food, with other addictions. It will never work. I had just finished my 10 day Master Detox and coming out of this I completely changed my food habits. I understood how I also had used food as a ‘filling’ in so many ways. When I got Vyana’s book – I started to read it and go through it. I was so amazed how simple, organized and structured it is laid out. This book is a real cool self-help tool for any woman these days. It is really up to date with all the latest ideas and thoughts about womanhood. The information is so beautifully weaved together. There is ease and flow. It really feels like the mermaid is talking and swimming with every word and sentence. The cards which accompany the book are really supportive tools as well. I would recommend this book and cards to everyone. The book has inspired me to keep myself more on track with my self-love route. It has been the very core trick to dive deep into myself as well get to know my inner mermaid again. Prior to the Vyana’s book assignments I incorporated my self-love diary. I have decided that there are certain things I will do no matter what every week – like taking my salt bath weekly or doing my facial mask or coffee scrub on my body or training 4-5 times a week, but also reading, writing and working more on my spiritual side. 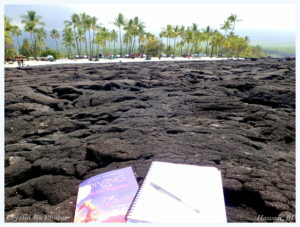 Enjoying my writing time out in the wild Hawaiian nature by the forgiveness pools in Honaunau, South of Kona. I have now started to journal again after almost 2 years break!!!! 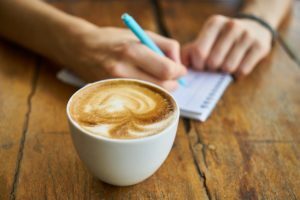 The reason may also be that I write so much on daily bases for my blogs or online groups, that I feel empty by the end of the day just to write for me. I now start my days writing first for me and then for others. I fill my cup first and then fill the others. That is the way it should be! During this process when I picked it up I decided I am not forcing myself. I am just going to enjoy it and write only when I feel the desire. When I did it this way I felt like I came back home. Like I came back to my best friend, to my best therapy and therapist. To really get me going, I have used one of my favourite creative writing books by Natalie Goldberg ‘Writing down the bones’. Natalie’s book is so inspiring, so simple and activating as well. It tickles me inside. It makes my inner writer muscles work almost instantly – without much effort from my side. ‘Aloha! I am your inner mermaid. It is nice to meet you too. I am amazed that you took the time to dive deep within to meet me. I have made a little mermaid crown for you to reward you. 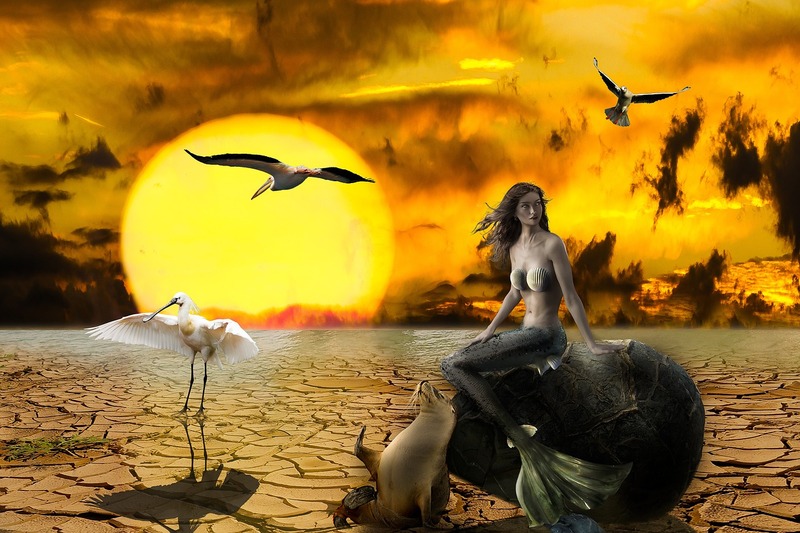 It is truly the time for all the mermaids to awaken inside of us. We have been guiding you all for centuries. We have been whispering words, stories, guidance into the waves, into the winds, currents and sun rays. Because most people are never really home ‘inside of them’ they are not receiving the messages and these will be returned to the sender. This way it is hard to create a two way street. We have so much to share. We have listened to the ocean currents and waves for so many centuries. There is a lot of wisdom hidden there. We can teach you how to take the shortcuts and how to dive deep so you will find your innermost treasures which you can bring out to the world. Ocean is our liquid heaven and in there everyone can fly, unless they imagine that they are a rock and are possessed by fear. Then you can go down like an anchor. 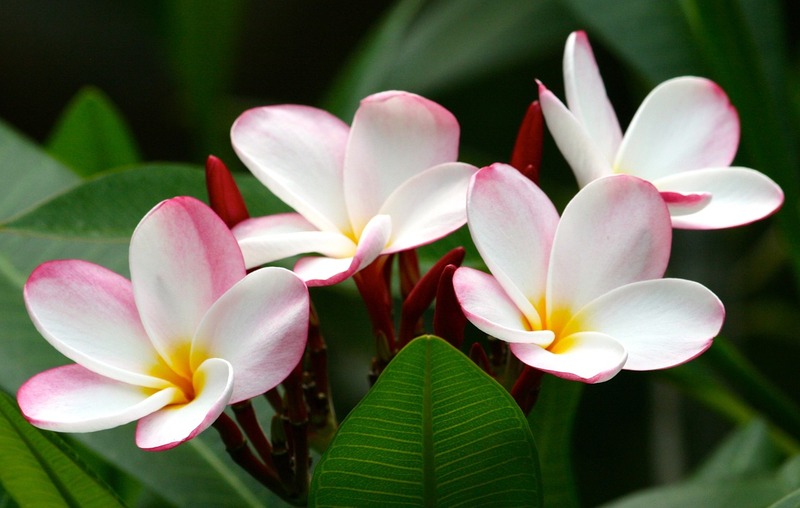 I am Crystal Ra Laksmi-Ditton. 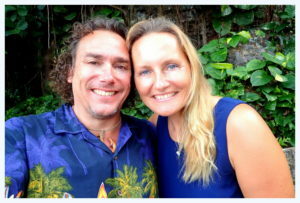 I live my dream in Hawaii, Big Island with my sailor king husband Michael who I met almost 4 years ago in Mexico. It has been quite a journey. How would you answer to questions – do I live, do I love, do I matter? What book has inspired your lately get better connected to yourself, your true inner self, create more self-love practices with yourself and brought you back to your writing routine? Comment underneath. This entry was posted in Abundance, Adventures of Aloha, Aloha Adventures, Articles, creative writing, Insecure Writers, MY BLOG and tagged Crystal Ra Laksmi, Crystal Ra Laksmi-Ditton, Hawaii, Infinite Activation, journaling, Mermaid Awakening, mermaid message, Michael Ditton, Reconnecting with yourself, Tips for writing by Crystal. Bookmark the permalink.